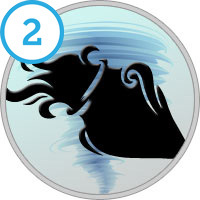 Second decan Aquarius born between January 30 and February 8. If a person is born between these days, the ruling planet is Mercury. People born under this Decan are logical and witty, and they easily connect with people intellectually. They are unpredictable and derive great joy from constantly changing circumstances. They are good at analyzing situations and taking decisions intellectually. They will not let emotions interfere in the process. They tend to excel in academic fields. They live life at a hectic pace and want quick results in whatever they do.